Around 120 attended the opening, and enjoyed plenty of chatting, nibbles and drinks. The gallery also looked great! The exhibition was opened by Michelle Davis-Waznek, former curator at Juxtapose gallery, and a guide at the Art Gallery of SA. 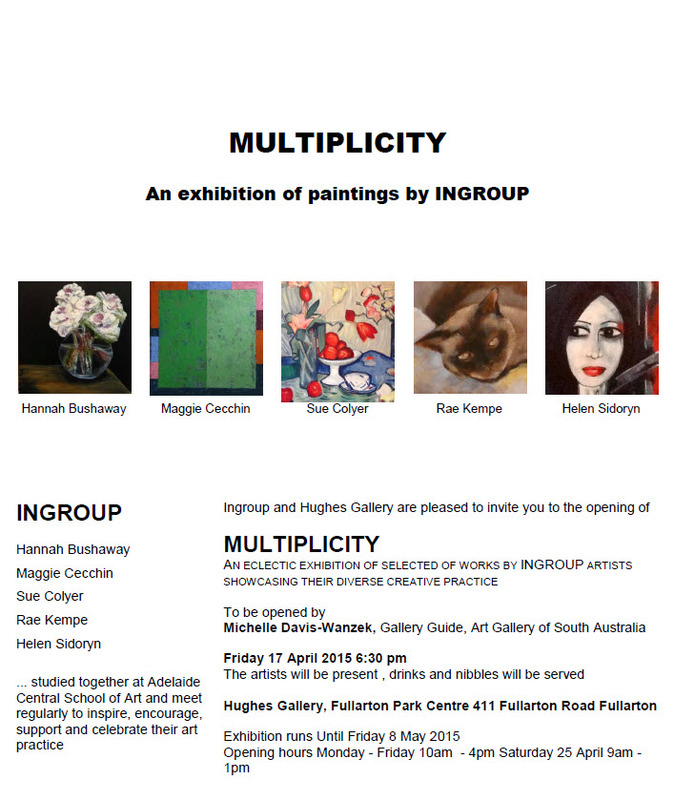 You can view my entries in the Multiplicity exhibition by clicking here. 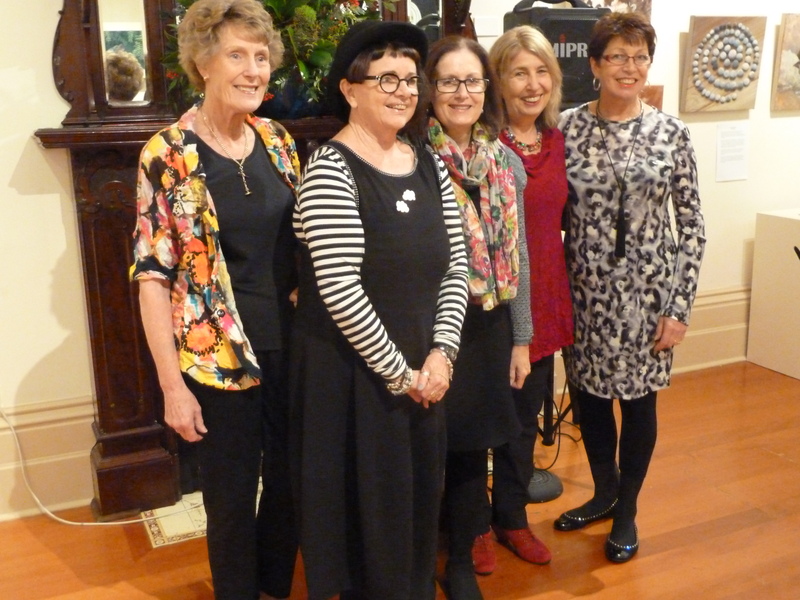 INGROUP: (l-r) – Rae, Maggie, Hannah, Helen, Sue. At the opening of Multiplicity.